Sonja Csik, a Grade 6 student at St. Michael Catholic Academy in Thornhill has been invited to meet Her Majesty Queen Elizabeth II at Buckingham Palace in England in November. 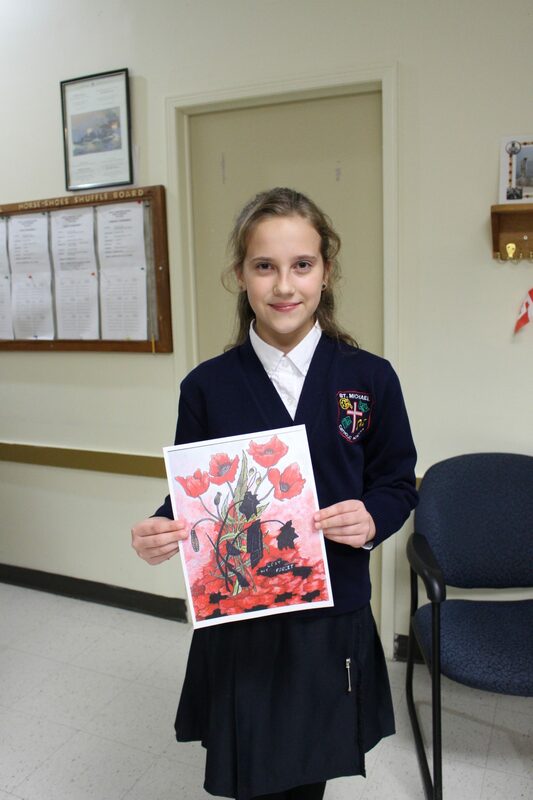 Sonja earned the incredible opportunity after her award-winning Remembrance Day poster placed second in an international competition, after previously placing first in local, provincial, and national competitions sponsored by the Royal Canadian Legion. 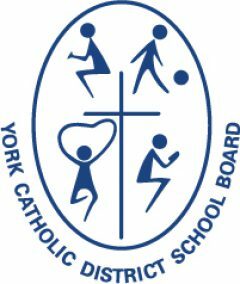 Sonja attends the York Catholic District School Board’s Elementary Regional Arts Program at St. Michael Catholic Academy. In October 2017, the school’s art teacher invited Grade 4-6 students in the arts program to create posters for the Royal Canadian Legion’s annual art and literacy contest. Sonja created her stunning, “Lest We Forget” poster, which took first place at the Legion’s local Branch 375, and again placed first at competitions at the Legion’s Zone level, District level, Provincial level, and Dominion level. After winning the Dominion (national) competition, Sonja’s poster was sent to Ottawa where it is currently on display at the Canadian War Museum and will remain there until June 2019. After Sonja’s poster won at the national level, it was entered into an international competition called, Never Such Innocence, which aims to engage children and young people across the world with the centenary of WWI. Sonja’s poster placed second in a category that included over 1100 entries from 47 countries, and earned her an invitation to attend an award presentation at Buckingham Palace in November, where she will meet the Queen. The Royal Canadian Legion Branch 375 recognized Sonja’s work at its October 15th meeting in Richmond Hill. To start the meeting off, Sonja and her family, along with special guests including St. Michael CA Principal, Dayna Fitzpatrick, YCDSB Superintendent of Education, Laura Sawicky, and Director of Education, Ab Falconi were piped-in. After listening to the Last Post and taking a moment to recognize Canadian fallen soldiers and all those who serve, Julian West, President RCL 375, presented Sonja with a cheque for $2,000 to help cover her travel expenses. Ross Toms, the Second VP and Branch 375 Historian, as well as Special Legion Guest, Margaret McCleary also presented Sonia with additional cheques worth a combined $750 that was raised from donations from various members and guests of the Legions, and community groups.